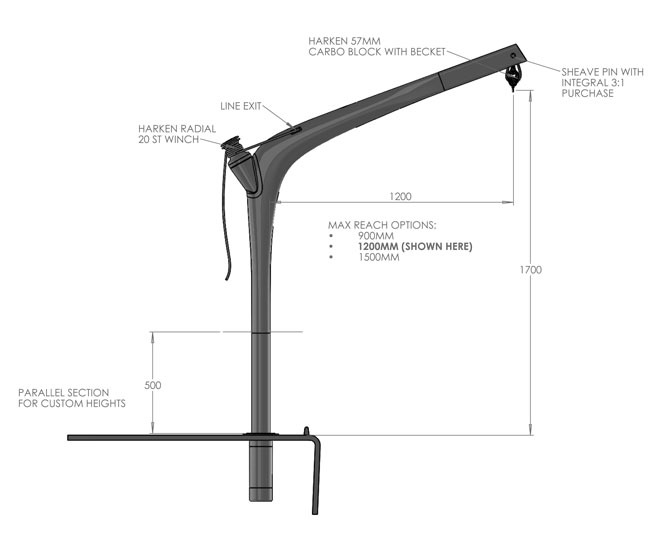 With the same elegant lines and lightweight characteristics of our standard davits the baby davit is the answer for smaller craft and docksides and can also be used in non-marine settings. 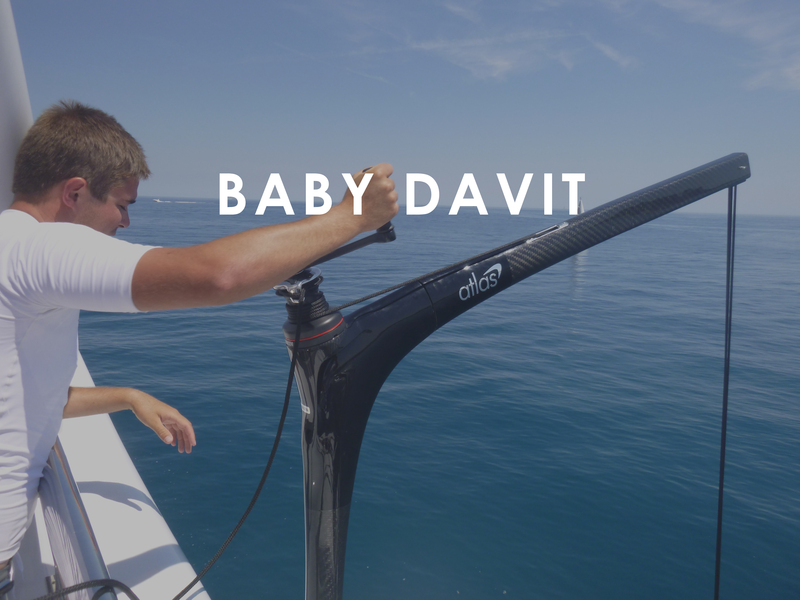 The baby davit is perfect for lifting outboard motors, dinghies, jet tenders seabobs, mini jetskis, and other small superyacht toys. 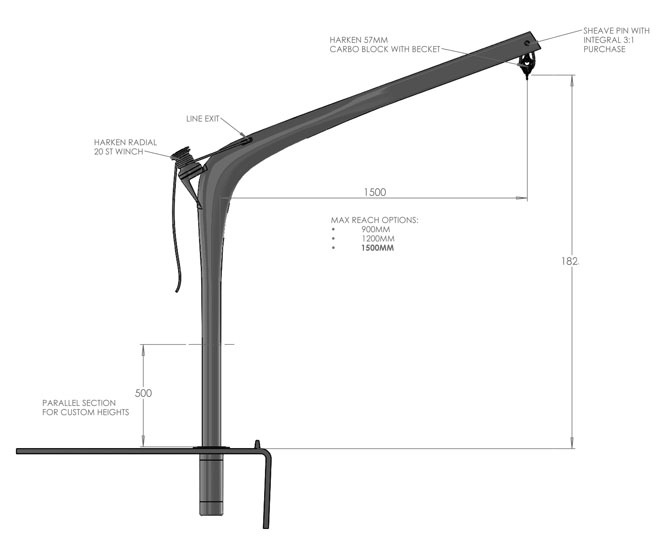 The Atlas baby davit can be supplied with a reach between 900mm and 1500mm, weighing from just 10kg and lifting 125kg as standard. 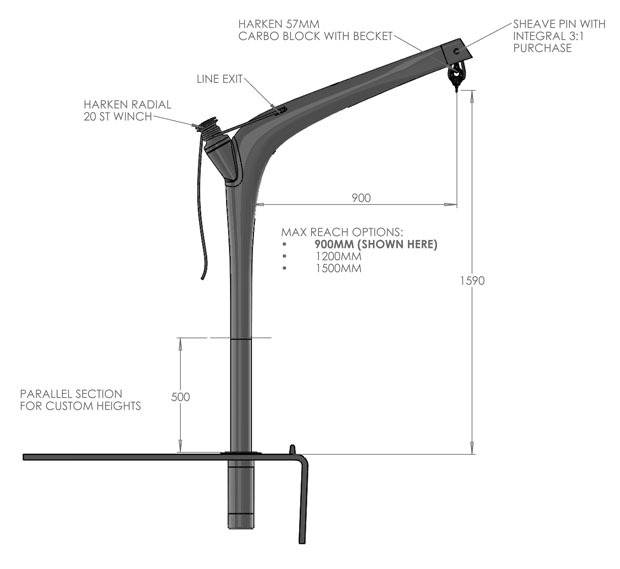 Baby davits come with or without a manual winch and in a spectrum of colours or carbon finish. They can also be upgraded to have a safe working load (SWL) of 250kg. Multiple sockets in stainless, GRP or aluminium can be ordered allowing for a single davit to be used in a number of different locations. All sockets come with watertight caps. 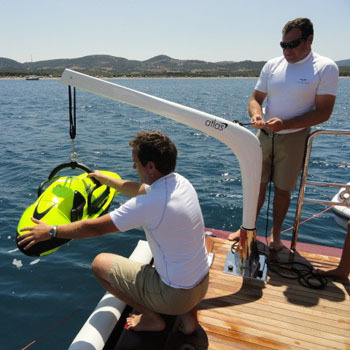 First choice davit systems for superyachts lifting dinghies, ribs, jet tenders, jetskis and other superyacht toys. 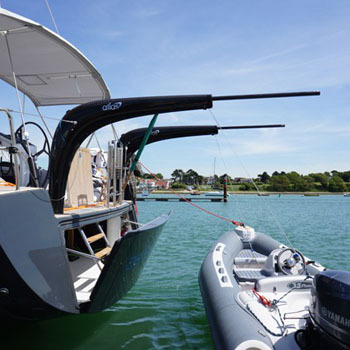 These paired yacht davits offer a permanent dinghy lifting and storage solution for sailing boat dinghies and jet tenders. 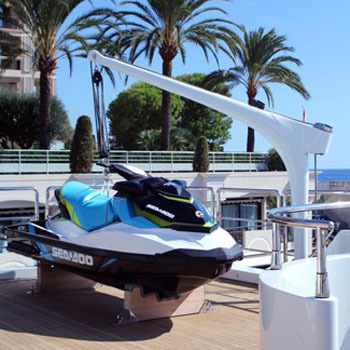 Small and portable deck or dock davits take the strain out of lifting outboards, seabobs, mini jetskis and other superyacht toys.